So last month I went to Reno, Nevada for Jason Sommerville’s Run It Up Reno (and maybe I’ll blog about that someday – it’s been on my list for a month now) but before heading to Reno, my friends and I made a stop in Hollywood to check out Halloween Horror Nights at Universal Studios. For those that don’t know, Halloween Horror Nights is an event that Universal does every October where they create a bunch of haunted houses based on famous horror movie properties and these things are amazing. I think the experience is an absolute must for fans of the genre and I have gone the past two years and feel like it should be an annual tradition. Who doesn’t want authentic looking Jason Vorhees and Freddy Krueger jumping out at them? 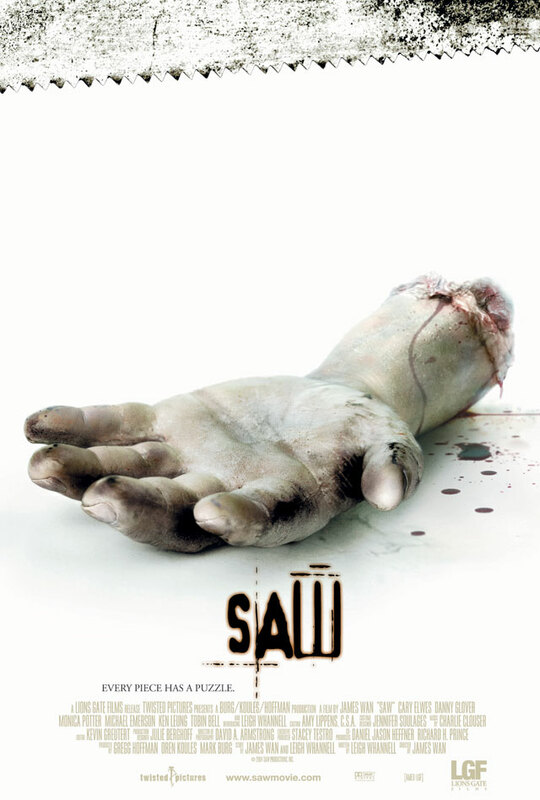 Saw (2004) – The world is introduced to The Jigsaw Killer and it’s a pretty fun ride. This movie is still great today and I can still remember how blown away I was by the ending the first time I saw it. I love the scene where the dude from “Lost” is in the closet and you can only see his eye. The lack of budget shows a bit now and some of the acting, particularly from the two leads, is pretty laughable. Still, even with these flaws, this is the best film in the series by a wide margin. Saw II (2005) – The Saw sequels were really forgettable to me the first time I watched them. I have much better recollection now having seen most of them twice, but I remembered very little from my first viewings. The traps are the coolest thing about this series after the original movie. They can be really gross and incredibly creative. While Jigsaw coerced someone to help him in the first film, this is where we start to see that his death traps can actually inspire real life changes to their survivors – and potential apprentices for his cause. Saw III (2006) – Jigsaw captures a doctor to perform medical procedures on him and keep him alive while his protege runs her own death trap game. In Saw everything is connected and nothing is coincidence. I think I liked this movie more than its predecessor. Saw IV (2007) – Spoiler alert! Jigsaw is dead. Can you imagine if the Halloween series killed off Michael Myers in the third film and then made five more movies? I can. That movie is called Halloween III: Season of the Witch and it’s one of the all-time worst horror sequels ever made. I’m not really comparing the Saw franchise to that movie, but it does seem like a weird choice to kill off your prime villain when you have a horror franchise cash cow going. I think Saw makes it work though. With flashbacks of Tobin Bell as Jigsaw orchestrating things and a somewhat believable following helping carry on his legacy, the movies manage to stay fun and interesting without straying too much. Saw V (2008) – Detective Hoffman is now the primary Jigsaw killer and becomes the suspect of an FBI agent. The series continues to keep things interesting and relevant with flashbacks and backstory. Saw VI (2009) – More of the same. Saw VII (2010) – The wheels have officially fallen off. Right from the opening scene this movie feels different – and not in a good way. I do like the idea of someone posing as a Jigsaw survivor as a claim to fame and then being put through the death trap mazes, but man… this one was brutal. This is easily the worst entry of the initial run and it was bad enough to put the franchise to sleep for seven years. There’s a big reveal at the end that could have been cool in a better installment. Jigsaw (2017) – I have to admit I was curious how they could possibly reinvent the franchise. Even fans of the series probably won’t really like this movie. It’s cool to see Tobin Bell back as The Jigsaw Killer, but one has to wonder how that is even possible. The answer will likely disappoint or infuriate you. It wouldn’t be a Saw movie without the patented surprise ending and, well, it’s pretty bad. This is a completely unnecessary sequel and a poor attempt at rebooting the series. 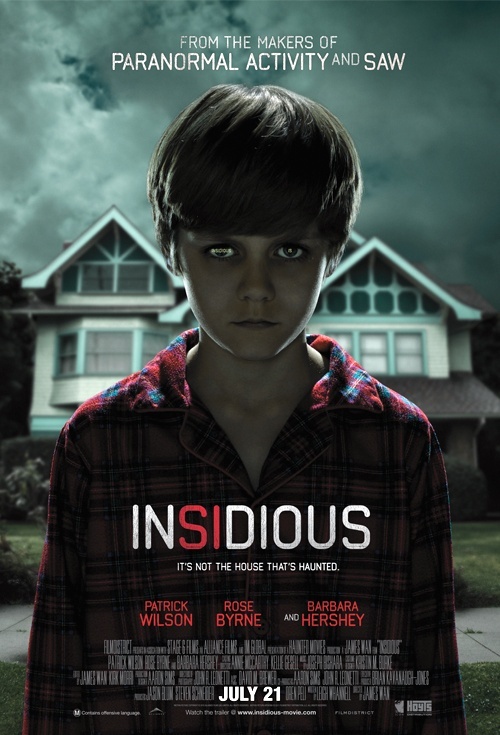 Insidious (2010) – The first jump scare in this movie is one of the best I’ve seen in recent memory. The movie itself was somewhat intriguing and the concept of The Further is pretty cool, but it was a bit slow and my friend I was watching it with was totally uninterested. Insidious: Chapter 2 (2013) – This sequel is better than the first and is a really good compliment to the original – so much so, that it makes the first movie better. We get a better idea of how The Further operates and some things that were unexplained in the first movie have pretty cool reveals here. Insidious: Chapter 3 (2015) – A decent prequel that shows how psychic Elise got into the paranormal activity business and met her future associates Tucker and Specs. 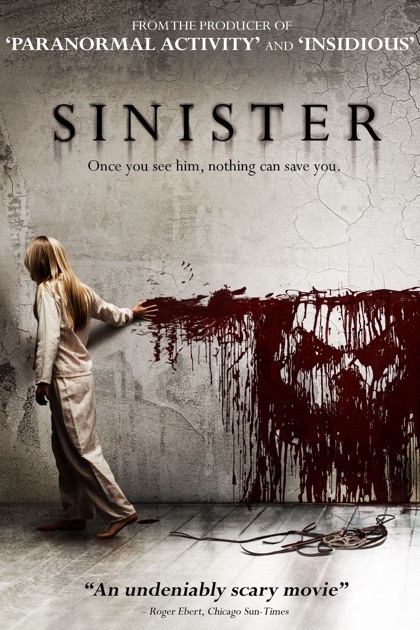 Sinister (2012) – A hidden gem. This movie was truly thrilling and actually quite scary. I kind of loved it. This is a must watch for fans of horror. Teeth (2007) – This movie is utterly ridiculous. 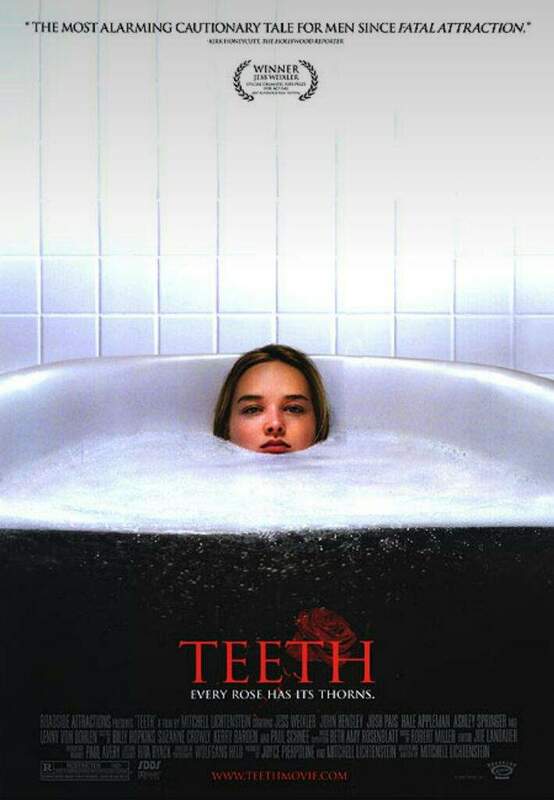 For those unfamiliar with the concept, it’s a movie about a girl that has teeth in her, uh, female parts. So naturally she is the subject of multiple unwanted male sexual advances and we are rewarded with more than one severed genitalia. I think this movie is meant to be part comedy, part parody, part horror and with that in mind I guess it works fairly well. Jess Weixler actually gives a pretty great performance in the lead role and I’m surprised she hasn’t seen more success in her career. The Babysitter (2017) – If you saw this on Netflix and dismissed it, you made a mistake. I very much liked this horror comedy about a kid that catches his babysitter and her friends performing a ritual sacrifice and finds himself fighting for his life. Judah Lewis gives what should be a breakout performance and is very funny in his role as the kid in this movie. 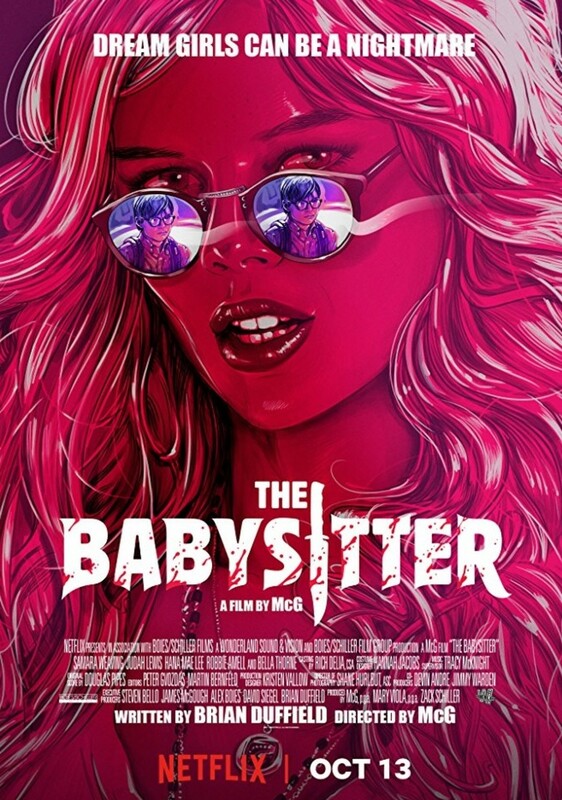 Fast-paced and funny, but not particularly scary, The Babysitter was a fun, light horror flick.